I am sure you'll agree with us when we say, it's impossible to find any meaningful or independent reviews of Alpha Travel Insurance plus compare prices and cover on the same site. Who are Alpha and who underwrites their policies? What Cover do Alpha policies offer? Alpha Travel Insurance is the trading name of Infinity Insurance Solutions, who also own Holidaysafe Travel Insurance. Policies are underwritten by Travel Insurance Facilities Plc and Insured by URV (Union Reiseversicherung AG) who are a German company, regulated in Germany. Alphatravel are a leading provider of low cost holiday insurance with prices from as low as 22 pence per day. No upper age limit and children travelling free on familiy policies. Alpha offer three policies Single Trip, Annual Travel and Longstay. Unlike some other companies, you can actually decide which excess you require. Choose from zero up to £250. Popular with Backpackers and those requiring a longer stay. Unlike many companies Alpha allow an unlimited number of winter sports trips under their annual travel policy (provided each trip lasts no more 31 days). How Alpha Travel Insurance's Policies have been ranked using our star rating formula? Click on the blue bars on the right side of the policy boxes below. Expand the content to view star ratings of all policies offered by Alpha Travel Insurance. Alfa travel insurance, class children as under aged 17 and living at home. Longstay policies limited to those aged 55 or under. Maximum stay of 31 days on any one trip when purchasing an annual multi-trip policy. Up to 90 Days on a Single Trip and up to 24 months in respect of Longstay cover. If you pay the additional premium to include a cruise, the policy will be extended to cover you for 31 days cruising during the twelve month policy period. Wintersports can be added to both a single trip and annual trip policies. Unlike most Annual travel policies, the Alpha winter sport policy has no limit on the total number of days you may ski during the 12 month policy, as long as any one trip does not exceed 31 days. The policy covers skiing and snowboarding on and off-piste in the ski resort as standard. Piste skiing includes areas in and around the resort that may be off the actual marked and groomed pistes, for example a hillside between marked pistes or in between groomed trails, as long as ski lifts and emergency services are easily accessible. All other areas are only covered if you are skiing with a guide. Family - this is for two adults and their dependent children, where the children are aged 17 and under, living at home and in full-time education. 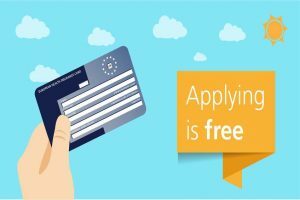 EHIC Mandatory if travelling within the EU. You must also enrol with Medicare if travelling to Australia. Check the policy schedule, page 27 lists Activities in Packs 1 - 4. Over 70 activities are covered as standard in Activity Pack 1. Some are * to exclude cover for Personal Liability and Personal Accident. Additional Activity Packs can be purchased with the payment of an additional premium. Financial Failure is only available as an option on Single Trip and Annual Trip policies. No cover is provided on Longstay policies. pregnancy, there is no cover for claims relating to normal pregnancy and normal childbirth or cancellation, however, medical expenses and cancellation cover will be provided if certain complications arise. Please make sure you read the definition of complications of pregnancy and childbirth given under the Definitions. Listed under activities - Manual Labour is excluded. This is defined as where you undertake work involving the lifting or carrying of heavy items in excess of 25Kg, work at a higher level than two storeys or any form of work underground. This does not include bar work which is listed as an included activity. If claiming for your goods that were stolen or lost you should produce proof of purchase of the original goods (receipts, credit card or bank statements), as failure to do so may affect the assessment of the claim. Longstay policies do not include cover for Jewellery & Watches, Single Trip and Annual Trip are covered. Claims relating to cyber events are excluded. Claims directly or indirectly occasioned by, happening through or in consequence of war, invasion, acts of foreign enemy, hostilities or warlike operation (whether war be declared or not), civil war, mutiny, military rising, insurrection, rebellion, revolution, military or usurped power, climatic conditions and acts of nature which first arise during the period of insurance and give rise to your pre-booked outward or return journey being delayed by more than 24 hours. Whilst customer reviews shouldn't be the only factor you take into account when choosing a travel insurance policy, they should form part of your decision making process, as they provide an important overview of how other customers perceive the company and how they deal with customers during a claim or when there is a problem. That's Insurance have reviewed Alpha 's Policy Wording, Website and Quote System and given each a 'User Friendly' rating. This will tell you how easy it is for you, to read, navigate and purchase policies on their website. We've split this into three gauges which show where Alpha rates compared to the average Insurance Provider on our site. The higher the percentage, the easier you should find it to navigate each of these areas. We've highlighted Pro's anc Cons for Alpha , click on the blue bars on the right side of the boxes below. Expand the content to view pros and cons of all policies offered by Alpha Travel Insurance. Pre existing medical conditions can be quoted for online during the quotation process. What Cover do Alpha policies offer. We've listed below cover levels for policies offered by offered by Alpha Travel Insurance To scroll through all policies, click on the arrows on the left and right of policy name section. Sample Quotes from Alpha Travel Insurance. Listed below are some Sample Quotes offered by Alpha Travel Insurance (or click 'Compare Now' button to compare their quotes with every insurance provider). We hope that you have found this Alpha Travel Insurance Review helpful. If you have experience of Alpha Travel Insurance, please do leave a Customer Review, these ratings are searchable and will help others make an informed choice.